This half round table has a depth of 24" and a width of 48". Just flip the top, and wheel it to where it has to go. Once you get it to where you need it, lock the casters. 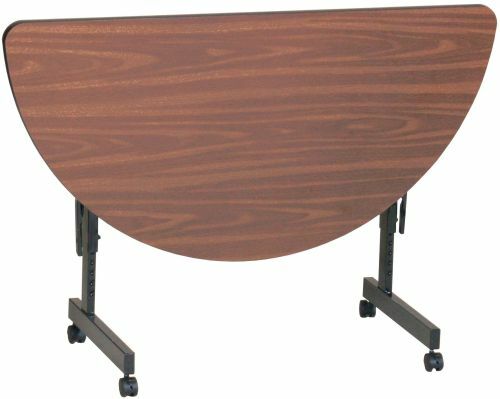 Then depending on the height you need for your event, you may adjust the table from 23" to 31" to fit your needs.